Manufacturer of a wide range of products which include maternity pad. We are recognized as the leading manufacturer and supplier of superb quality Maternity Pad. 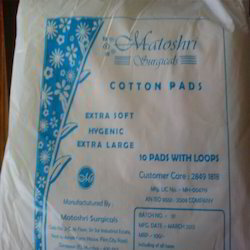 The offered pad is processed by utilizing high grade cotton and sophisticated technology. Owing to their features such as sterilized and purity, this is treasured among clients all across the nation. Tested on various parameters of quality, our offered range is available in various sizes as per the varied requirements of clients. We offer these products in various packaging options to our valued clients. Looking for Maternity Pad ?